Areas of interest: Iberian Studies – Hispanic Studies – Portuguese Studies – Comparative Literature. Robert Patrick Newcomb is an Associate Professor of Luso-Brazilian Studies at the University of California, Davis, United States. 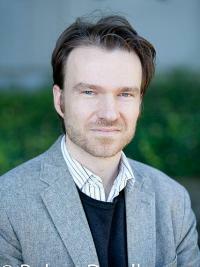 Additionally, he is the founder and co-director of the UC Comparative Iberian Studies Working Group. He received his BA, MA, and PhD from Brown University. His research focuses on comparative approaches to Luso-Hispanic literatures, both in the Americas (Brazil/Spanish-speaking Latin America) and in Europe (Portugal/Spain). Chronologically, he focuses on late 19th and early 20th century works, particularly essays, articles, and literary non-fiction. Newcomb has made extensive contributions to the field of Iberian Studies, with a special focus on Iberianism. He has written several articles on this theme, and his book, Iberianism and Crisis: Spain and Portugal at the Turn of the Twentieth Century, will be published by the University of Toronto in Spring 2018. Additionally, Newcomb is co-editor of the volumes Beyond Tordesillas: Essays in Comparative Luso-Hispanic Studies (Ohio State, forthcoming Fall 2018) and The Iberian and Latin American Transatlantic Studies Reader (co-edited with Cecilia Enjuto Rangel, Pedro García-Caro and Sebastiaan Faber, under contract. He is also co-editing the special issue Estudos Ibéricos: Novos Espaços in the International Journal of Iberian Studies. Newcomb, Robert Patrick. 2010. “Portugal na visão unamuniana da Ibéria como unidade dialéctica.” Estudos Avançados 24 (69): 61–78. www.scielo.br/pdf/ea/v24n69/v24n69a04.pdf. Newcomb, Robert Patrick. 2011. “Beyond Tordesillas: The Role of Mediated Comparative Analysis in Luso-Hispanic Studies.” Chasqui. Revista Latinoamericana de Comunicación 40 (2): 125–45. Newcomb, Robert Patrick. 2012. “Iberian Anguish: Unamuno’s Influence on Miguel Torga.” Luso-Brazilian Review 49 (2): 188–206. https://muse.jhu.edu/article/501256. Newcomb, Robert Patrick. 2014. “A Poetry of Flesh and Bone: Miguel de Unamuno and Miguel Torga.” Portuguese Studies 30 (1): 21–36. https://www.researchgate.net/publication/296837997_A_Poetry_of_Flesh_and_Bone_Miguel_de_Unamuno_and_Miguel_Torga. Newcomb, Robert Patrick. 2008. “Antero de Quental, ‘Iberista’: Iberianism as Organizing Principle and Evolving Intellectual Commitment.” Iberoamericana. América Latina, España, Portugal: Ensayos Sobre Letras, Historia Y Sociedad. Notas. Reseñas Iberoamericanas 8 (31): 45–60. Newcomb, Robert Patrick. 2015. “Theorizing Iberian Studies.” Hispania 98: 196–97. https://muse.jhu.edu/article/583818/pdf.